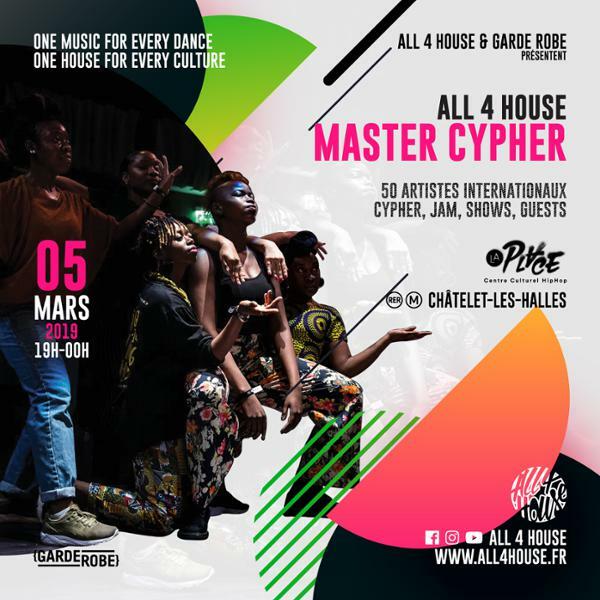 Le #ALL4HOUSE #MASTERCYPHER est de retour à La Place, centre culturel Hiphop – Paris, pour une nouvelle édition. ALL 4 HOUSE MASTER CYPHER is back at La Place – Paris. A unique event in France to spread the spirit of the club with the best international DJ and dancers gathered around only one music : house music.